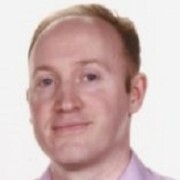 Andrew McConaghie picks out three eye-catching ideas around pharma’s work with digital and tech innovation discussed at this week’s eyeforpharma conference in Barcelona. Any gathering of pharma industry execs inevitably focuses on those big ‘threats and opportunities’ for the sector. Many of those haven’t changed over the years – most notably R&D productivity, which remains a major concern. However a newer one is disintermediation. This is the idea that pharma could find itself displaced or removed from direct interactions with healthcare professionals and patients because of a rise of new service providers. These are most likely to be tech companies that could control new integrated data platforms through which all patient interactions are managed – and in which medicines could become a mere component, or commodity. Naturally the big tech players are the most feared – Google’s healthcare arm Verily and IBM Watson’s artificial intelligence service (as well as others with a stake in electronic health records, or EHRs) could both revolutionise how data is collected, analysed and acted upon in healthcare. That means pharma has to make sure it is delivering value to patients and healthcare systems. That also means – almost intrinsically – embracing these new technologies to make sure they don’t get left behind or elbowed aside. Among the eyeforpharma speakers addressing these questions was Sanofi’s Peter Guenter, who spoke about Onduo, the chronic disease (starting with diabetes) management platform it is developing with Verily. Guenter revealed more about Onduo’s progress so far to pharmaphorum here. 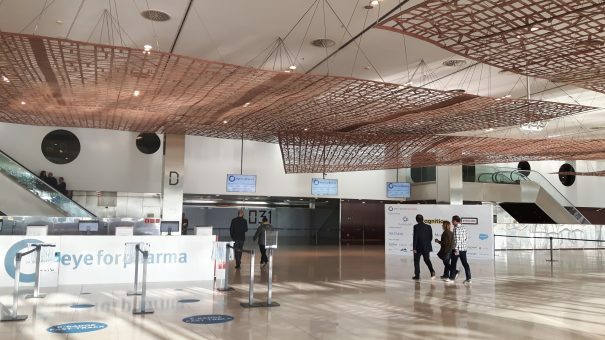 The disintermediation term was raised on the eyeforpharma stage by Pascale Witz, the former Sanofi exec who laid the foundation for the Verily collaboration while at the company, and who urged a proactive ‘open innovation‘ mindset in pharma. This debate fed into a related one about the emergence of new breeds of pharma company and business models. There were lots of views on this topic, including from Tim Kneen, executive president, Europe & Canada, Merck. Whether things will shape up this neatly is yet to be seen, but it does highlight the different strategies already emerging across the sector. It’s always useful to look outside your own sector for a guiding light or pioneer to provide that sometimes hackneyed concept ‘inspiration’. This year that person was definitely Elon Musk, founder of the Tesla electric car company, and one of Silicon Valley’s totemic ‘big thinkers’ and entrepreneurs. Musk’s ventures include huge investment in solar power to solve the world’s energy crisis and global warming problems, development of autonomous cars and a literal ‘moonshot’ via his SpaceX venture, which plans to take paying customers to the moon. Lots of speakers name-checked Musk as many pharma companies are trying to bring entrepreneurship into their businesses – both directly into their R&D divisions and other departments, but also through working with agile and imaginative start-ups. Bruno Villetelle, chief digital officer at Takeda was one such speaker. While presenting Takeda’s progress in developing digital innovation and new approaches to working, he said one of Musk’s greatest qualities was that he wasn’t afraid of failure. Takeda is trying to unleash innovative thinking across its divisions, with lots of external patient-focused digital collaborations. Villetelle acknowledged that it is very difficult to combine the entrepreneurial spirit with the big pharma, process-driven R&D mindset. It’s worth noting that Elon Musk’s brash style isn’t everyone’s cup of tea. But after having made his fortune by developing PayPal, Musk says he has pursued solutions for humanity’s biggest problems – and not just profit – and that is something that pharma can also do well to emulate. One of the final speakers at the close of the three-day conference was Frank Kumli, executive director, life sciences at consultancy firm EY. 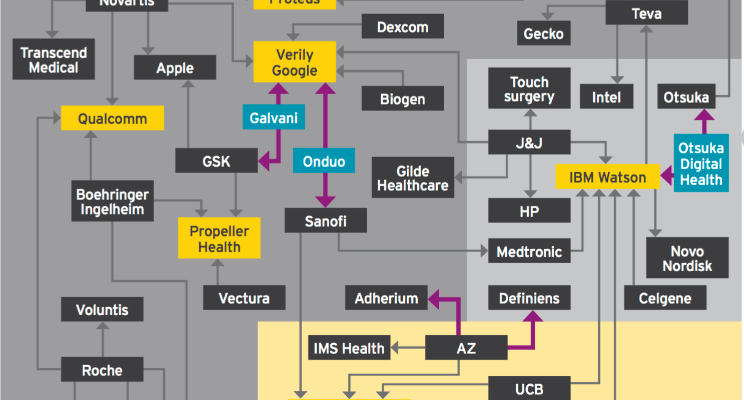 He mapped out the astonishingly rapid development of pharma-tech collaborations so far – EY counting more than 100 digital deals so far – but said the industry had to push on to show some real results from sometimes tentative efforts. Kumli said the sector is suffering from ‘pilotitis’ – too many pilot studies – and should just get on and scale these up to deliver results faster. Before this stage, however, you have to be sure your technology can truly deliver for your customer – Kumli and many other speakers warned that falling in love with technologies is a common mistake. He also advised that pharma should integrate initiatives around a purpose and a customer – otherwise things could become fragmented and unfocused. Asked which companies he believed were leading in digital innovation, he didn’t want to name any names. However, he did say that the companies that are in advance of all the others are the mid-sized companies. These have understood it will be about patient outcomes, he said, and also where the management team have been able to drive the digitisation strategy. There were many companies sharing examples of ongoing study pilots and projects which integrate the digital with pharma’s own R&D expertise. These, combined with a new laser-like focus on personalising care and real-world patient outcomes look set to be core offerings of pharma in the near future. One example of this was presented by Lisa Egbuono-Davis, VP, global head patient-centred outcomes and solutions at Sanofi. The company has teamed up with tech group Mytonomy and three US academic institutions – Colombia, Duke University, Medstar Health. The aim is to co-create innovative micro-learning content targeted to increase activation levels of patients new to insulin. It is specifically focused on populations that are most at risk for non-adherence and the fastest growing new insulin users. Egbuono-Davis said Sanofi’s programme is based on behavioural science and its insights. In the US, African Americans, Hispanics and South Asians are all at risk of worse outcomes in diabetes. The company’s research found a variety of cultural barriers to insulin use in these groups – for instance in the Hispanic community there was a stigma around the use of needles linked to their association with drug addicts. The project focuses on helping these patients control their diabetes more effectively using a range of videos tailored to their real-life scenarios. This isn’t hi-tech, but focuses on understanding patient needs by behavioural science to understand why individuals and groups behave the way they do. As with many other projects presented, Egbuono-Davis made it clear that it wasn’t the technological challenges which were the most difficult, but the cultural ones – getting these organistions to align around a common goal takes time, patience and honesty on all sides. The value of these patient-focused, digitally-enabled projects will become clearer in the next few years. However there is little doubt that these approaches are absolutely necessary for pharma to remain a true stakeholder in healthcare, and not get disintermediated or left behind.